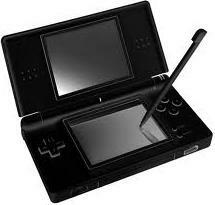 For some reason I got side tracked from Zelda with my newest game system: The Nintendo Dsi. 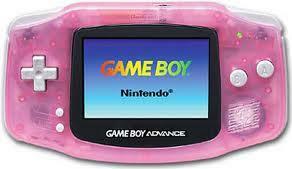 Way before the Ds, Ds lite, Dsi, Dsi XL, 3Ds, all of that I had a Gameboy Advanced. Oh course I only had a bunch of pokemon games… Then I got a hand-me-down Ds lite from my brother, not complaining! I was thrilled I mean the system could play my GBA pokemon games! Plus I could catch up on all pokemon games made for the Ds. 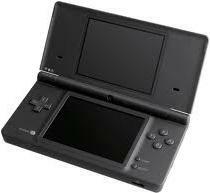 Then 2 weeks ago I got the Dsi, passed on my Ds lite to my sister. 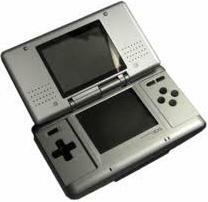 Then Dsi, sadly, cannot play GBA games. But the new features and Apps you can buy in the Dsi Store. The new features your system comes with is camera – you can take pictures and mess around with them. Dsi Sound – record sounds with your Mic and mess with how it sounds. The Internet, a web browser – it runs fairly well, it runs good with mobile websites. Lastly Flipnote Studio – you can make little ‘Flipnotes’ which are like mini-movies. You still have the Ds Download Play and PictoChat. Camera: The Dsi has two built-in cameras – one facing outwards and one facing inwards. Once you take a picture you can save it in your system memory or if you have a SD card. If you save it in your system memory you can do many things to th picture like: Distortion, distort it by using your stylus and dragging the section of the picture you want to distort. You also have Graffiti, this lets you draw on the on the picture in some colors, also it lets you put ‘stamps’ on the picture. Stamps are things like Hearts, music notes, speech bubbles etc… Next – is color, this turns your picture into Black-and-white then you can tap some spots to return color. But, the color doesn’t all return at once, just a little at a time! The next thing you can do is Colorpad, this lets you turn the entire picture into shades of blue, purple, pink, red, and green. Mirror lets you make your picture mirror its self! All of the next ones require the picture to have a face recognized. They are Mischief – which puts things like cat ears on the picture, the next one is the emoter, this one turns you face into a sad, happy, or mad face. Next up is Merge, you take one picture of you and one of someone else. You can then merge your face’s together. Lastly for camera is Resemblance, in this one you need to take a photo with two people in it, being the 2 people you are comparing. Next up is Dsi Sound. Record a sound and you can change the pitch – really low or very High you can also make it go backwards! Or you can make your voice sound like a trumpet, whistle, Buzzer, robot, parakeet, or like your voice is in an Electric Fan. Lastly for Apps that are free is the Flipnote Studio. A Flipnote is basically a little movie that is black-and-white. Not much too it though it’s very fun. You can create many, many Flipnotes which, you can also send to a near by person! That’s all of the new stuff with the Dsi, well in comparison to the Ds lite and Ds.